We know that amazing businesses all across the South stand with the LGBTQ community. Whether you’re a business owner, employee or a fan, you can give a shout out to your favorite LGBTQ-friendly business by filling out this form. Why now? On June 4, the U.S. Supreme Court issued a ruling in the Masterpiece Cake v. Colorado Civil Rights Commission case siding with a baker who refused to serve a gay couple. 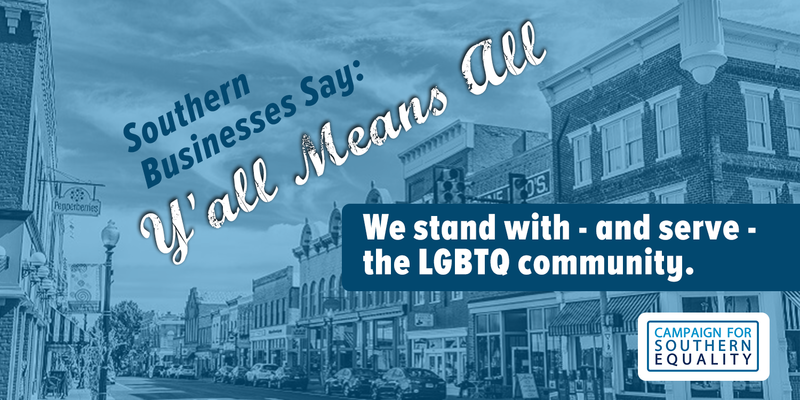 In response, we’re asking Southern business owners to join us in showing your support for LGBTQ equality in every part of life. The Court did not rule that there is a right to discriminate: this ruling does not apply to businesses in other states and does not invalidate non-discrimination laws that protect LGBTQ people. The ruling also does not address the fundamental First Amendment question of whether LGBTQ people should be protected from discrimination in public accommodations. We are confident that the U.S. Supreme Court will ultimately rule that this protection exists. Until then, we’ll keep organizing and sharing the stories of Southerners who are taking a stand for full equality.